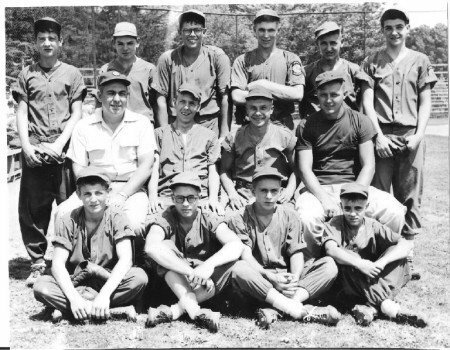 Send us a favorite photo from bygone days! #1: Who doesn't have a memory of this image furnished by Joe Stanley. Great snapshot Joe. Thanks for submitting it! Brought back many memories! # 3: Martha Jane Boyer - Eller via Son Donnie furnished images of her 1943 graduating class grades 1 and 3 thru 11. 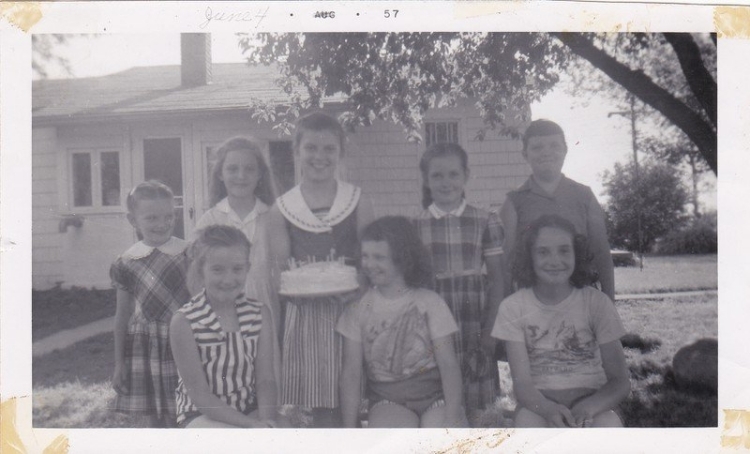 # 4: Alicia Bradley submitted this snapshot of a birthday party for her Mother (Alice King) back in 1957. The interesting aspect is not only young Alice (center holding the cake but the fact that 1965 graduates of this class in attendance were Jackie O'Dell, Patsy Gregson and Candy Roush. Back row: Anna Bush, Nila Bush, Alice King, Janet Bush, and Candy Roush. Front row: Cheryl Shannon, Jackie Odell and Pasty Gregson. 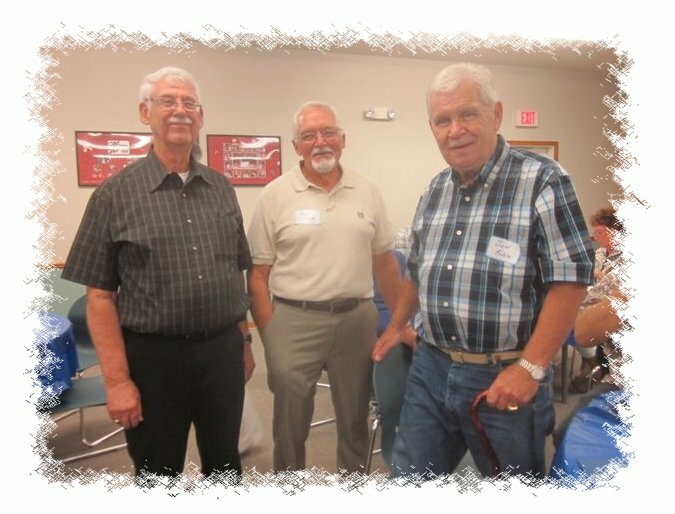 # 5: Jay Wilson, our High School Earth Science Teacher, was present at the 1965 50th class reunion and had himself photographed with two of his Son's namesakes. One might wonder why these two students made such a memorial impression. We're betting it wasn't because anything favorable they performed as they both were always up to some kind of mischief or classroom debauchery! 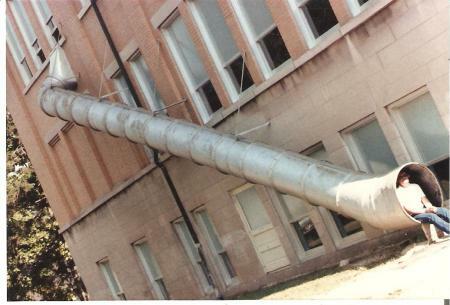 This photo is for Lynda Johnson, daughter of the late Herbie Johnson. Here's your Daddy! - Front right corner.